This 1920’s Arts & Crafts end of terrace house, backing on to a communal garden, was completely gutted internally leaving just the external walls and the main roof structure. No walls, floors, windows or doors remained. This strip out enabled the whole house to be completely reconfigured to suit the needs of the owners and their young family and to be fitted out in a contemporary minimalist style. 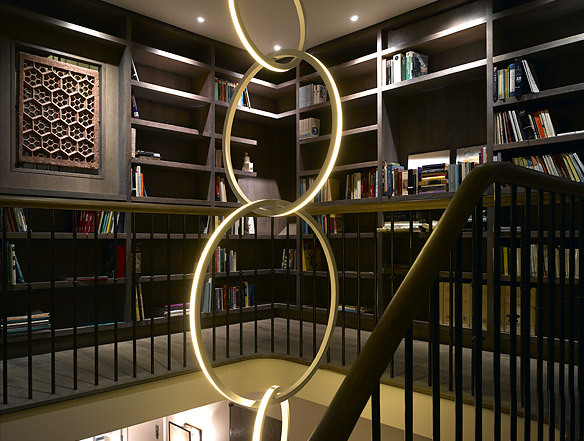 Among many eye catching features are the two storey, stone cantilevered stair case, the new bronze double glazed windows replicating the original steel windows, and the German made full height double doors with steel frame. The existing original loft space was completely opened up to provide four children’s bedrooms, two of which have galleries accessed by ladder. At the front a new lightwell was formed to provide a separate service entrance.